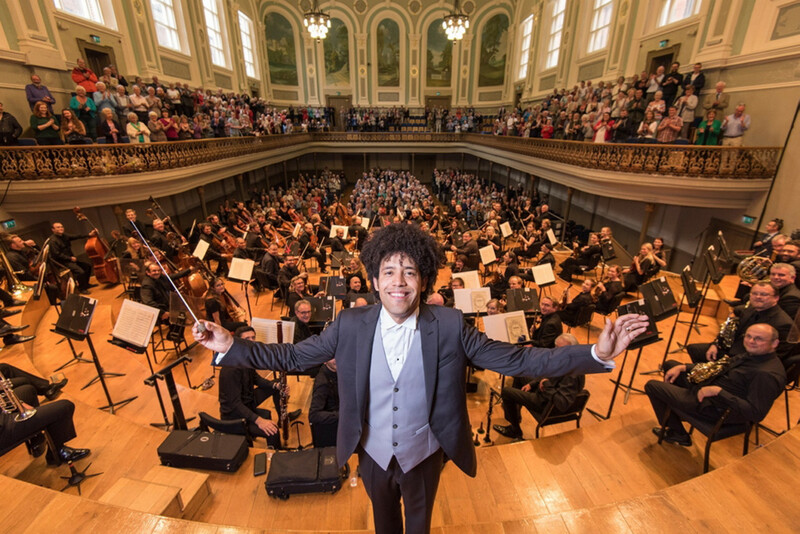 The Ulster Orchestra, under the baton of music director Rafael Payare, played a programme of huge contrasts, new and old, to a capacity audience in the latest of its Great Symphonies series. The concert opened with the Irish premiere of Piers Hellawell’s Wild Flow, a BBC commission which was first heard at the BBC Proms last August. The music at times appeared not to know where it was going, but the overall structure had an integrity and depth that provided a substantial and engaging piece, superbly played and warmly received by an audience that might have found some parts difficult, if not inaccessible. Tchaikovsky’s Third Piano Concerto, rarely played but thrillingly championed here by Barry Douglas, was a beautiful one-movement work which was premiered after the composer’s death, and made us long for more. Douglas’ well-received encore of a Brahms Hungarian Dance led the way to the composer’s massive First Symphony in the second half. The orchestra was in top form in an urgently-driven, crisp and memorable performance. Payare virtually became the music, in one of the best concerts of the season, which was rewarded by sustained and deserved applause.